CAPA has been appointed to carry out a full property audit at Bargain Booze Ltd, a chain of over 450 off-licences where thousands of jobs have been saved in a rescue deal. Along with the wine and spirits retailer Wine Rack, Bargain Booze was part of a collective retail business owned by a parent company, Conviviality Plc, which entered insolvency on April 5 2018. Matthew Callaghan, Ian Green and David Baxendale of PwC, were appointed as administrators of Conviviality on April 5 2018, and a day later, as administrators of Bargain Booze. On April 6 PwC secured a sale of the retail business that included Bargain Booze and Wine Rack to Bestway Direct Ltd, the national wholesaler. The sale secured 2,000 jobs at the retail business and enabled franchisees to continue trading. After completing the rescue deal, PwC has instructed CAPA to undertake a property audit on 202 sites across Bargain Booze. The chain has a total of 452 outlets across the UK. The instruction will involve a forensic analysis of property outgoings across the audited sites. 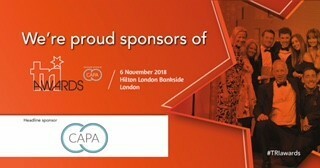 CAPA’s auditors will use bespoke software to uncover multiple elements such as errors in utility bills, or any overspend across the outlets, before recovering cash for the creditors of Bargain Booze.